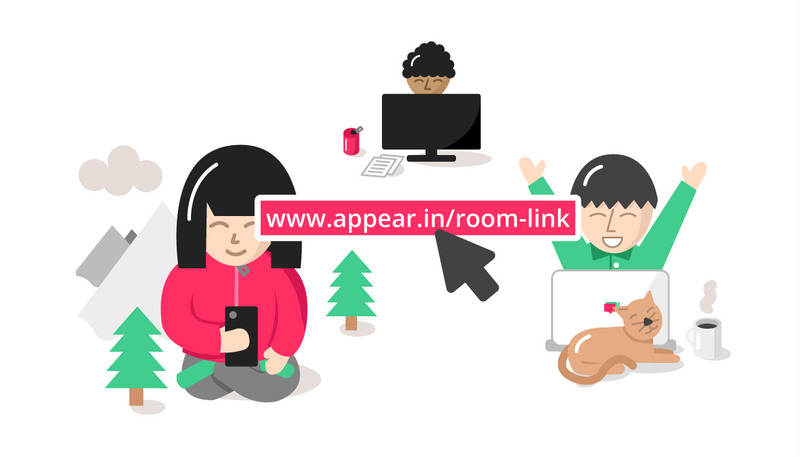 appear.in allows your guests to easily enter your meeting with one link. There are no login or passcodes to remember. Our Pro plan lets you have meetings with up to 12 participants. Upgrade for just $9.99/month. 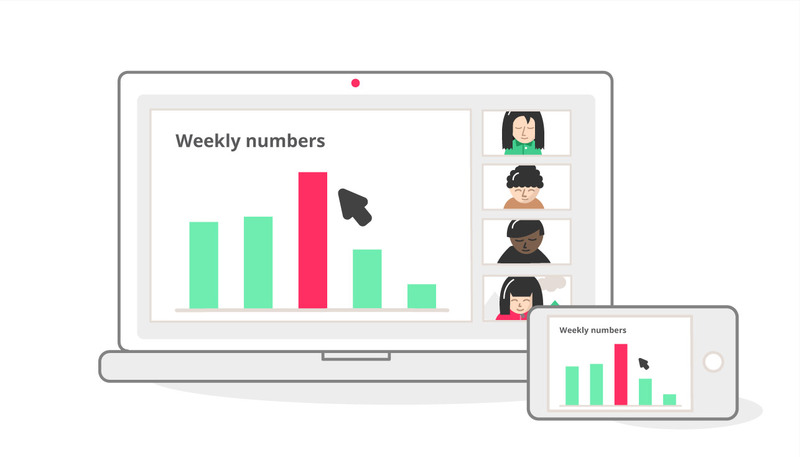 Upgrade to a Pro plan for screen sharing with presenter view and auto fullscreen. 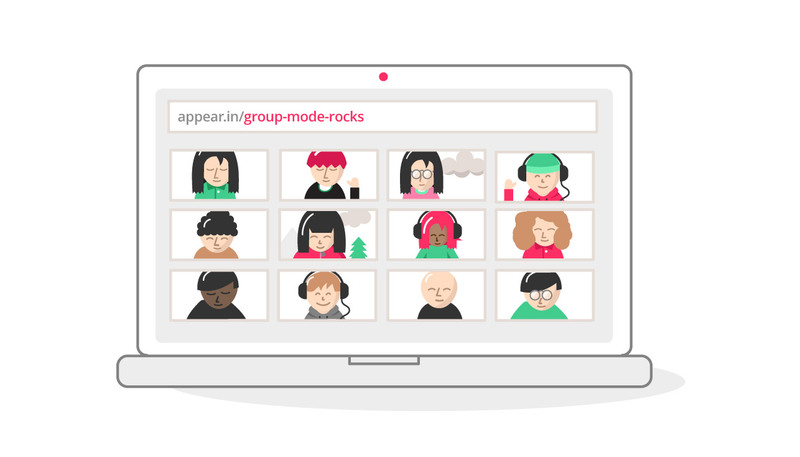 Drag and drop to arrange videos, enlarge or go fullscreen to see more. Works best on Chrome, Firefox, Safari. Also handles weak networks with audio only mode. Super charge your meetings with your own toolbox. Record the room and save locally to play back later. Real time Trello collaboration. 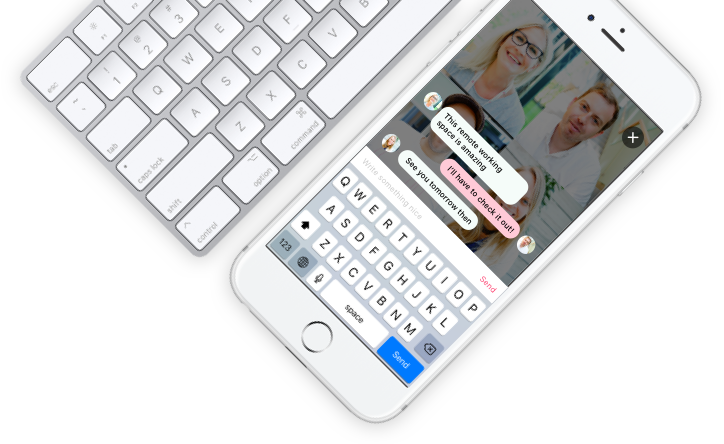 Just paste the link into the chat to collaborate together. Share YouTube videos and watch them together inside your room. If you need help, or just want to tell us how you like appear.in, contact us at feedback@appear.in. Check out our FAQ. Interested in working for appear.in? Check out our careers!.